This 15-note model has the same note layout as the Alto, two octaves of the G major scale. The TM Alto is built out of a flat board rather than a resonant box. 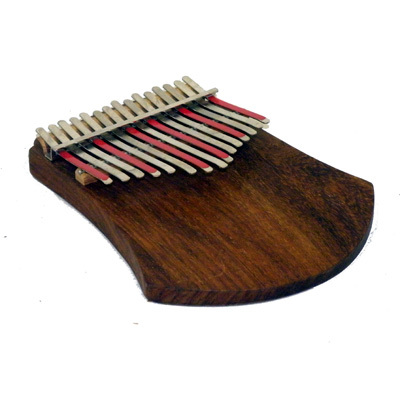 This Hugh Tracey 15 Note Kalimba is available with a built in electronic pickup. Just plug it into a guitar amp and have fun! Size: 18 x 15 x 3 cm. This 15-note model has the same note layout as the Alto, two octaves of the G major scale. The TM Alto is built out of a flat board rather than a resonant box.